A Media Access Control (MAC) Address is a unique address which is given to most devices that can connect to a network. Whether it is a wireless network or a wired network, network interface devices use MAC addresses to identify hardware connected to them on a network. MAC addresses are assigned by your device manufacturer. It is not set by your network device. That means a MAC address is set in the hardware of a device. So, it can be used to physically identify hardware. It is also known as the physical address of hardware devices. Your mobile phone also has a MAC address which is set by its manufacturer. Mobile phones easily connect to network routers or Wi-Fi networks. When they do so, they share their MAC address to the router. 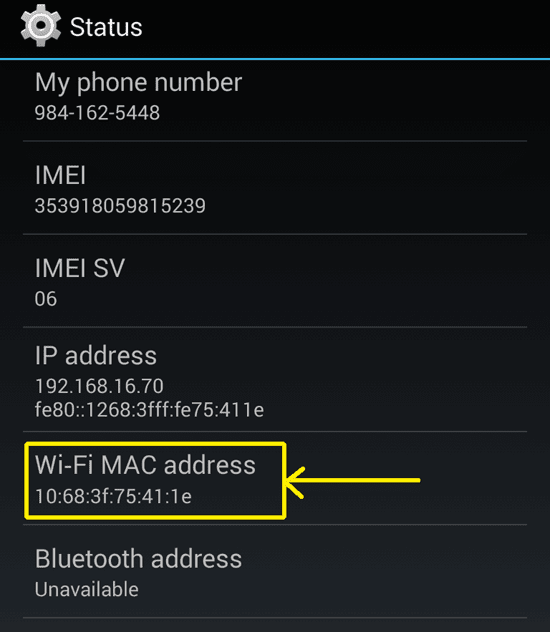 Sometimes, you might need to access the Wi-Fi MAC Address of your Android phone. For example in situations when you have to identify devices connected to your router. 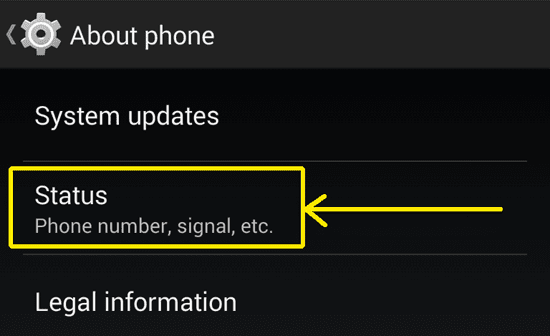 In such situations, you can find it out by quickly visiting your "Settings > About Phone > Status" section which is present in all Android phones. 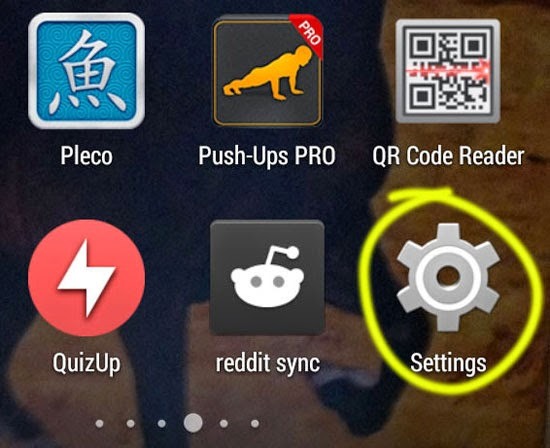 Go to your Android settings from your app drawer or other shortcut location. 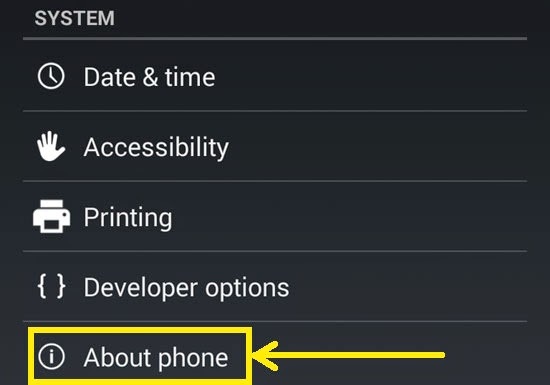 In the bottom of your settings screen, you will find "About phone". Tap on it. In your "About phone" section, you will have to tap on "Status" to get more details about your phone. In your "Status" screen, scroll down and you will find your MAC address under the heading Wi-Fi MAC address.